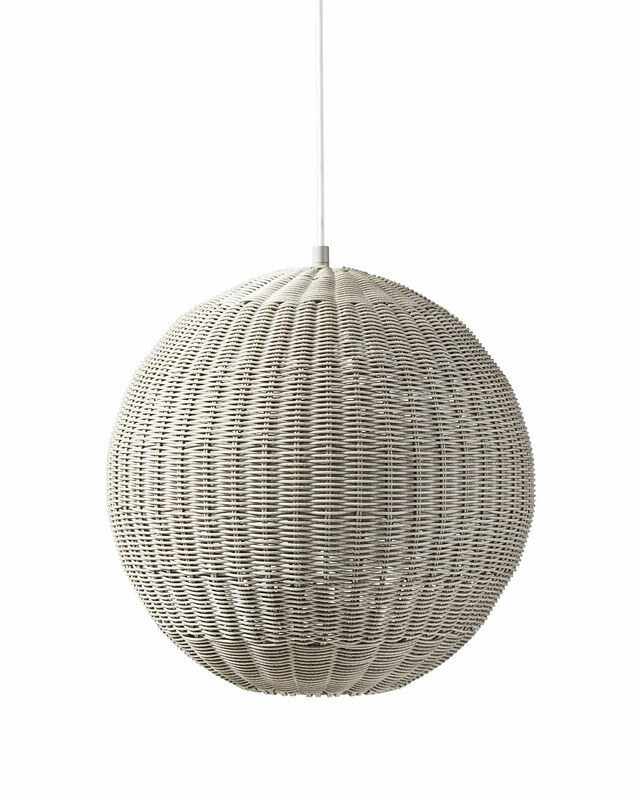 Pacifica Outdoor PendantPacifica Outdoor Pendant, Harbor Grey alt="Pacifica Outdoor Pendant, Harbor Grey"
Print The texture of rattan meets sunbleached flair. 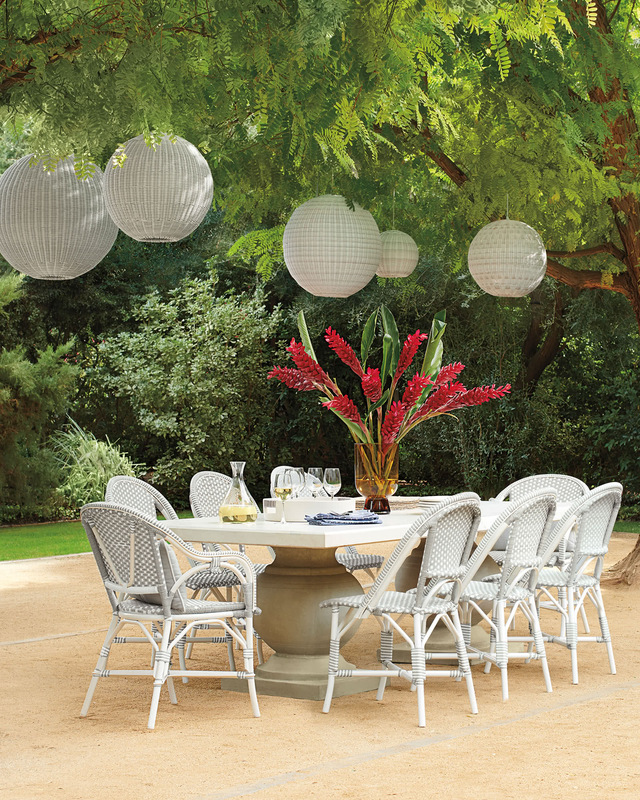 Made with a powdercoated steel frame and weather-friendly wicker, our pendant lets you deck out your patio in style. And it looks fabulous indoors, too – in fact, we’re so in love with this look that it’s on prominent display at our Sausalito office. Go solo or cluster a few for a chic statement. 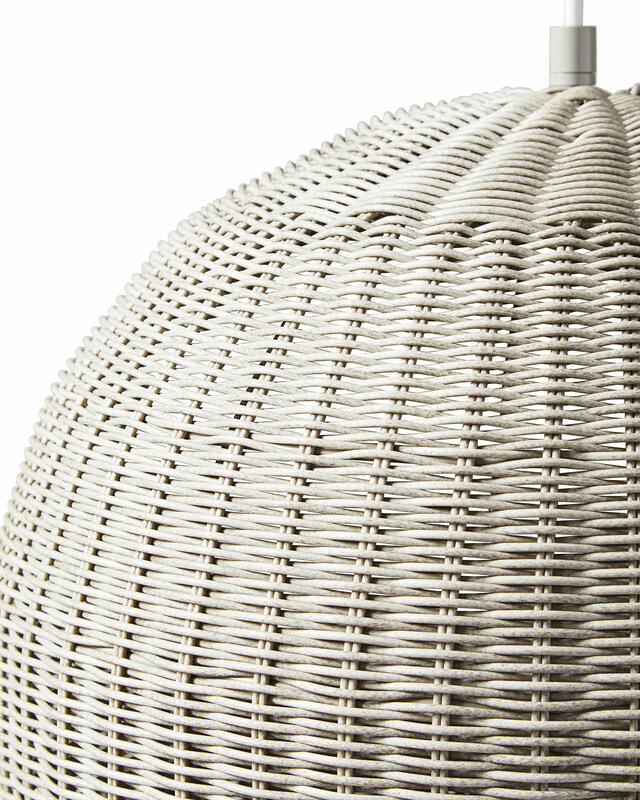 Each piece is beautifully handmade with our exclusive finish, so no two pendants will be exactly alike and each fixture will have slight imperfections that add great character. Whitewashed all-weather resin on powdercoated steel frame. Beautifully handmade – no two pendants will be exactly alike and each fixture will have slight imperfections that add character. Wipe with a soft cloth and avoid over-tightening the glass cover.